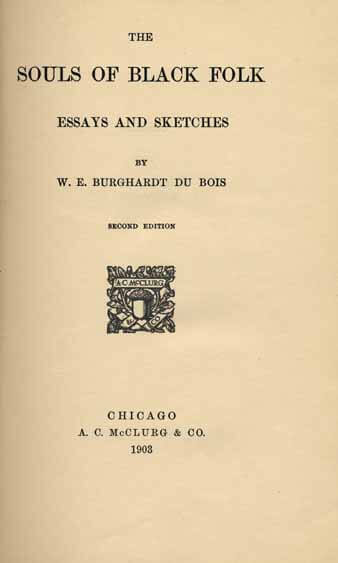 The Souls of Black Folk, Essays and Sketches (1903) is a cornerstone of African American Literature. Through a series of essays, some of which appeared in The Atlantic Magazine , W.E.B. Du Bois describes what it is like to be African American at that time. Visit American History and the African American Library for other important historical documents and figures which helped shape the country. Return to the W.E.B. Du Bois library.